SUPREME COURT ISSUES FAVORABLE DECISION FOR FIRM’S CLIENTS IN AIR AND LIQUID SYSTEMS CORP. V. DEVRIES | Goldstein & Russell, P.C. On March 19, 2019, the Supreme Court issued a favorable decision for the firm's clients in Air and Liquid Systems Corp. v. DeVries. Thomas Goldstein argued for the respondents. 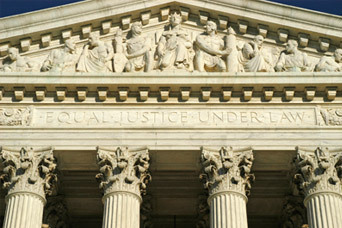 In a 6-3 decision written by Justice Kavanaugh, the court affirmed the lower court's ruling, holding that in the maritime tort context, a product manufacturer has a duty to warn when its product requires incorporation of a part, the manufacturer knows or has reason to know that the integrated product is likely to be dangerous for its intended uses, and the manufacturer has no reason to believe that the product’s users will realize that danger. The opinion can be found here.